Last October, the ‘Silk Road’ story broke when its owner Ross William Ulbricht, a 29-year-old who allegedly created and managed the Silk Road underground website, was arrested by the Federal Bureau of Investigation (FBI). The police seized the website that was considered one of the most popular Underground places on the Internet for buying drugs and other illicit goods and services. 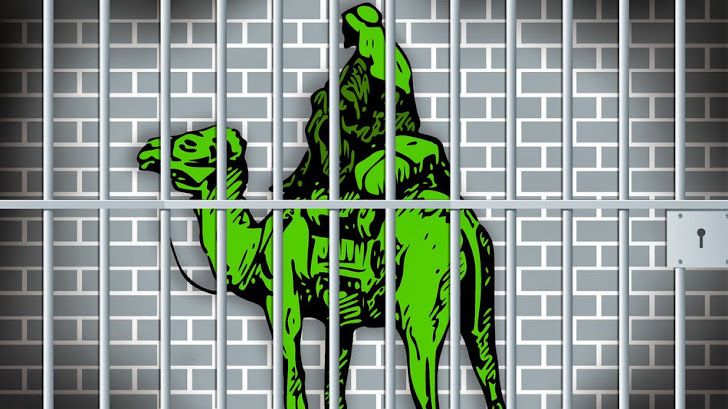 Just some days after the Shutdown of Silk Road, Authorities in Britain, Sweden, and the United States arrested eight more vendors who dedicatedly used to sell illegal drugs on Silk Road. Yesterday, Cornelis Jan Slomp, a 22-year old Dutch man who allegedly used the Silk Road underground black market website to sell illegal drugs for bitcoins worth millions of dollars has agreed to plead guilty in Chicago federal court to federal drug conspiracy charge filed against him, according to a statement issued by U.S. Attorney Zachary T. Fardon in Chicago and Slomp’s lawyer. The 'Silk Road' website, which had operated since early 2011, generated about $1.2 billion in sales of heroin, cocaine, ecstasy, marijuana and other illegal substances in less than three years, with Silk Road's operators netting $80 million in commissions. The website also offered tutorials on hacking ATM machines, contact lists for black market connections and counterfeiters, and guns and hit men for sale, according to the charges. Cornelis Jan Slomp, who go by the name ‘SuperTrips’ was arrested with over $20,000 in cash at Miami International Airport in August where, according to police, he planned to meet with the partners in the drug trade last year. He is in custody facing a maximum term of as long as 40 years, a $5 million fine and a forfeiture of more than $3 million in alleged proceeds of his crimes. The suspect was accused of distributing worldwide about "104 kilograms of powder 3,4-methylenedioxy-N-methylamphetamine (MDMA); 566,000 ecstasy pills containing MDMA; four kilograms of cocaine; three kilograms of Benzodiazepine; and substantial quantities of amphetamine, lysergic acid diethylamide (LSD), and marijuana, in addition to allowing substantial quantities of methamphetamine, ketamine, and Xanax to be distributed through his SuperTrips vendor account from March 2012 through August 2013," according to the authorities. According to the prosecutors, Slomp received about 385,000 bitcoins from more than 10,000 transactions using the shuttered Silk Road website. Some undercover Homeland security agents were monitoring the website for about 18 months and observed Slomp who had offered various controlled substances for sale and on April 2012, authorities at Chicago’s O’Hare International Airport seized an envelope mailed from the Netherlands containing ecstasy hidden inside an empty two DVD cases. "During the investigation, agents collected more than 100 similar envelopes in Chicago, each mailed from the Netherlands or Germany, containing various controlled substances," the Chicago US Attorneys Office said in a statement. In February, Ross William Ulbricht, who allegedly created and ran the black website under the name “Dread Pirate Roberts,” pleaded not guilty to operating a drugs trafficking scheme, conspiring to launder money and other crimes. The hidden underground black market website, Silk Road used an online tool known as Tor to mask the location of its servers, that made it difficult for authorities to know who was using the website. The hidden or anonymous online environments were a key priority for the cyber criminals to carry out illicit activities.